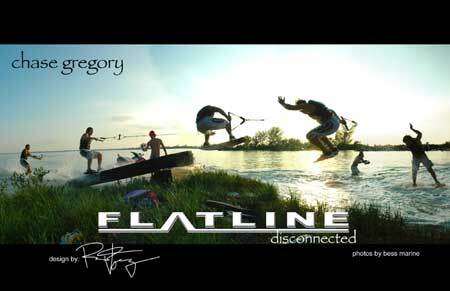 Off Kilter Productions is stoked to announce the arrival of their first underground all wakeskate dvd, FLATLINE: Disconnected. The film features progression riding from Drew Danielo, Chase Gregory, Greg Van Wagnen, Justin Scott, Kyle Walton, David Hanson and Aron Gore. New locations, tricks and a look at the world of underground wakeskating. A Flatline premiere party is scheduled for Friday, March 11, 2005 at Czar. Click Here for more information. Use the link below to check out the newly released trailer for Flatline: Disconnected. You can pre-order a copy of Flatline now at Boardflix.com.